Artwork and ideas can be expressed from architectural doodles to polished pieces. In order to bring clarity to the conversation, we have defined four different levels of finish to match the energy or presentation needs of your designs. We have provided samples of each term. These are rough drawings that can quickly convey ideas. Lines are loose and dark. Color, when added, is bold and blocked. 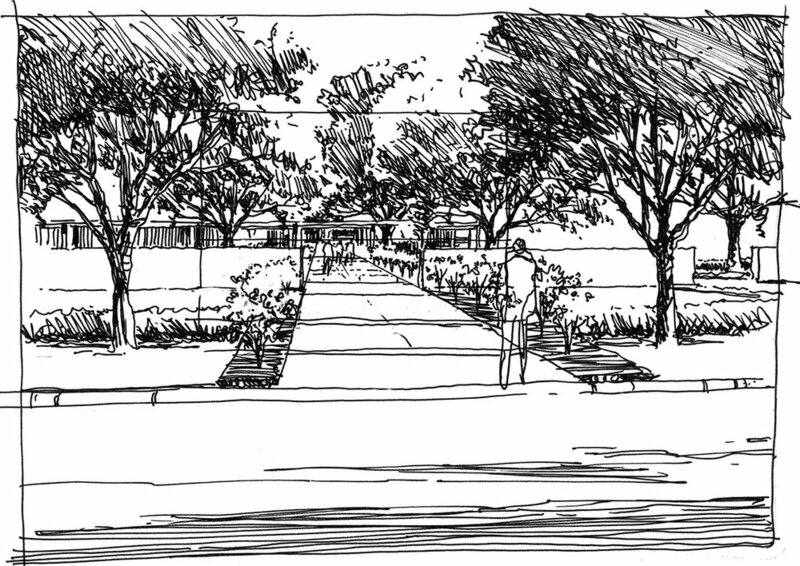 These drawings are most often used in the early stages of collaboration to discuss a number of various design elements and views. This level of finish is alittle more focused. Certain details are evident, while others are left open to design changes. While there may be some artistic loose lines, there are also clearly outlined architectural and technical elements present –along with a more refined and delineated presentation of the proposed project. This is the highest level of finish and quality –for presentation art that clearly communicates landscaping, specific design elements, desired components, and other details to the client and community. The next consideration is the complexity of your project. The number of buildings, people, trees, and so on will predictably play a role in calculating the final price. A rendering of a cityscape will cost more than an illustration of a single unit home, for example. There is a range of mediums that can be used to represent your design ideas. You may choose the look of pen and ink, marker, watercolor, anddigital. Almost all illustrations are now produced digitally, and are able to convey your desired effect. 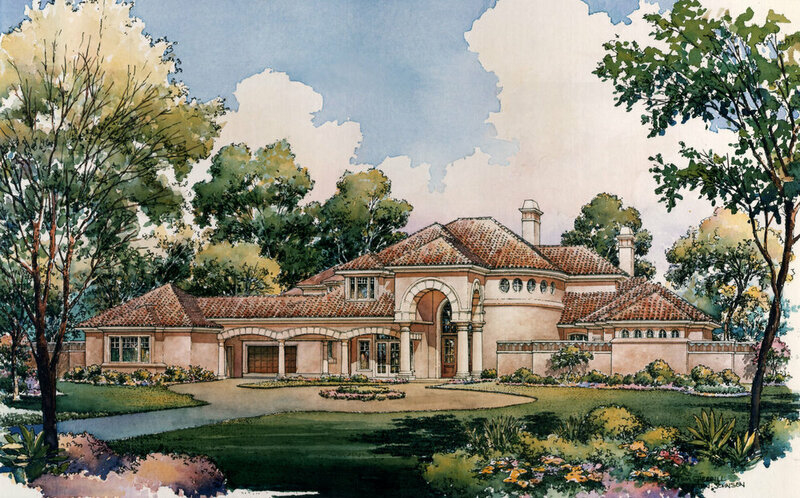 This hybrid style can combine the benefits of digital renderings with the artistry of hand done illustration. Feel free to shop around in the galleries to find the style that best expresses your design. Reserve your place on the schedule in advance for best pricing. We must also receive all materials related to the completion of your project in a timely fashion. This insures that we will be able to meet your deadline on time and on budget. For last minute projects or late receipt of needed materials or information, rush charges will apply. It can sometimes happen that as we move through the conceptual process, changes will need to be made in design elements. Or, it is decided to move from one level of finish to another. Or, it is realized that there needs to be an increase in the number of drawings or views for the final presentation… and so on. In this event, I will communicate clearly and send new invoices (that keep a written record as we go along) therefore avoiding any surprises in pricing.